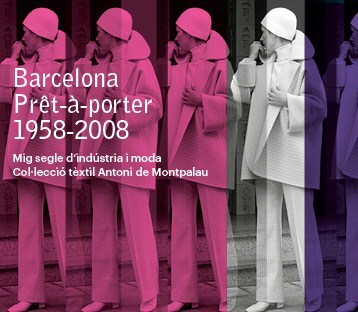 BARCELONA, SPAIN - More than 300 garments shall be displayed for ten months in the exhibition “Barcelona Prêt-à-Porter, 1958-2008. Fifty Years of the Fashion Industry. Antoni de Montpalau Textile Collection”, a fascinating journey through the world of fashion, which may be visited from 27 June 2013 to 30 March 2014 at the Palau Robert. The exhibition features material from the Antoni de Montpalau Textile Collection, a Sabadell-born initiative launched in 2004. The exhibition, curated by the historian and art critic Josep Casamartina i Parassols, joint creator of the collection with Anna M. Casanovas, is being organised by the Ministry of the Presidency, in conjunction with the Consortium for Trade, Crafts and Fashion of Catalonia. The event enjoys the patronage of the Banc Sabadell Foundation, Armand Basi and Desigual, and the support of Naulover. 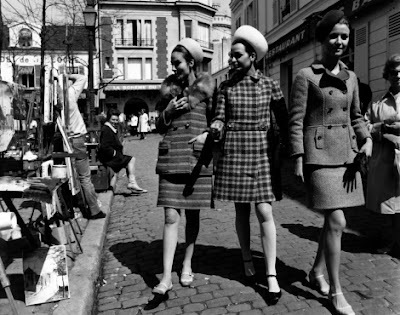 This major exhibition offers a retrospective glance at fifty years in the recent history of prêt-à-porter fashion in Barcelona, an international benchmark for fashion. This era bore witness to the introduction and consolidation of design and mass-produced clothing. The phenomenon, which joined haute couture houses, low-cost clothing manufacturers, small studios, designers and boutiques, gave impetus to Catalonia’s textile industry, which played a key role at that moment in time for the Catalan economy. For the first time ever, a retrospective glimpse is being taken at Catalan fashion in the past fifty years, through the presentation of garments, archive images and footage corresponding to the five decades shown in the exhibition. The exhibition will include the foremost designers, as well as brands, clothing manufacturers and small studios, to provide an overview of the industry. The exhibition proposal follows a chronology in which mention is made of the most noteworthy facts as regards the textile industry and women’s fashion in Catalonia, brands, designers, the development of the industry, new fashion fairs and shows. The content is reinforced with images and garments from every period in the history of the Antoni de Montpalau Textile Collection. The Antoni de Montpalau Textile Collection is a Sabadell-born initiative, created by Josep Casamartina i Parassols and Anna M. Casanovas Crusafont in 2004. Funded primarily by donations, it is devoted to the collection, study and dissemination of textile heritage and fashion through the organisation of exhibitions, collaboration with both public and private museums, institutions and design schools, as well as through publications and its own website. Over the ten months of the exhibition’s duration, the garments will be changed twice, in October 2013 and January 2014, bringing the number of garments on display to over 300 pieces.